Ready for sandwiches or to accompany soups or salads, this flavorful and versatile belongs in your repertoire! The base recipe for this scrumptious allows you to add different herbs and seasonings such as rosemary or even saffron. In this recipe, I used dried onions. But onions could be substituted with olives, sun-dried tomatoes, parmesan cheese, or any number of savory add-ins. 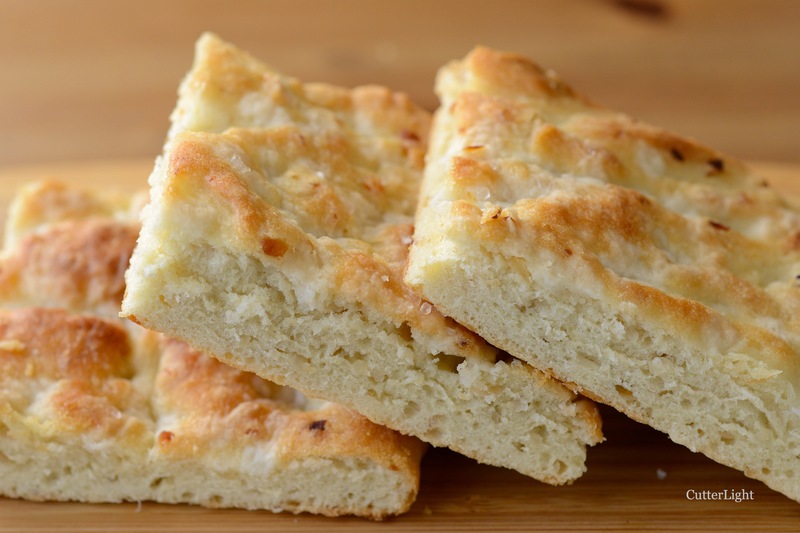 With a little imagination, focaccia could be turned from savory to sweet by using dried fruit and coconut. Today’s version features the traditional flavor and richness of olive oil with minced onions. I love onion flavor! In a large bowl, stir together yeast, sugar, and water. Stir in 1/4 cup of the extra virgin olive oil. Stir in 1 cup of the flour and the salt. Stir in another cup of the flour and the dried onions. Add in another cup of flour and mix. Knead in the last cup of flour 1/4 cup at a time. Dough should be soft, smooth and slightly sticky. Cover loosely with plastic wrap and let rest for 20 minutes. Turn dough out onto the parchment paper. Press the dough to flatten to about 1 inch thickness. Cover loosely with oiled plastic wrap and let rise at room temperature for about an hour. Make deep indentations with your your fingertips all over the surface of the dough. Drizzle remaining olive oil over top of dough. Let stand while you preheat oven. Set oven temperature to 425 degrees F (220 degrees C). Sprinkle dough lightly with coarse sea salt. Bake bread for 20 – 25 minutes. Bread is done when bottom is lightly browned. Looks divine. Thanks for posting. Hey look you all, I’m trying to fit back in slacks I wore 15 years ago and the food you post interfere with my progress . . . too delicious. I think that portion control is the key answer so I can still indulge. Thanks for the recipes.